Today I bring you a refresher course on breaking the rules and taking control of your own body and looks. 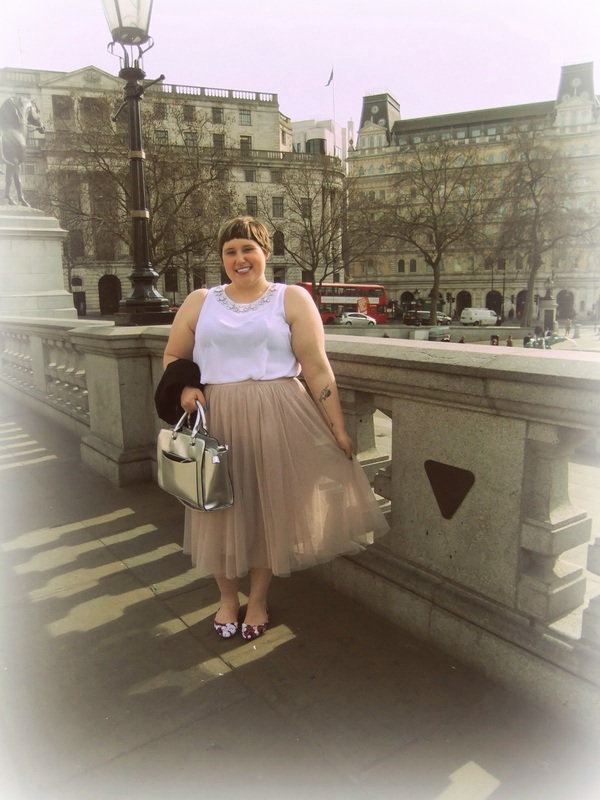 The amazing and inspiring #WeAreTheThey campaign started by Debz of Wannabe Princess has become a phenomenon and is pushing people everywhere to take back their right to look, dress and feel how they want about their bodies. I am tired of being reminded day in and day out about what I, as a fat woman should or should not wear because of my size. 1. Cover up your arms - No, it's hot outside, and your shoulders have every right so see the light of day, as do you arms regardless or their size, colour, texture etc. Anyone who tells you otherwise is projecting their own discomfort and body imagine issues on to you and you owe it to no one to explain. Your body, your rules. 2. Crop Tops are a no-no - No! Crop tops are cool and I want to wear one. End of discussion. Take your anti-crop-top talk elsewhere or waste your energy fighting something that matters, which is not the state of my midsection. 3. Horizontal stripes are not a good choice for bigger people. For me, if I like the clothing and it has horizontal stripes, so be it. This idea that avoiding a certain print or colour will make you smaller is silly. 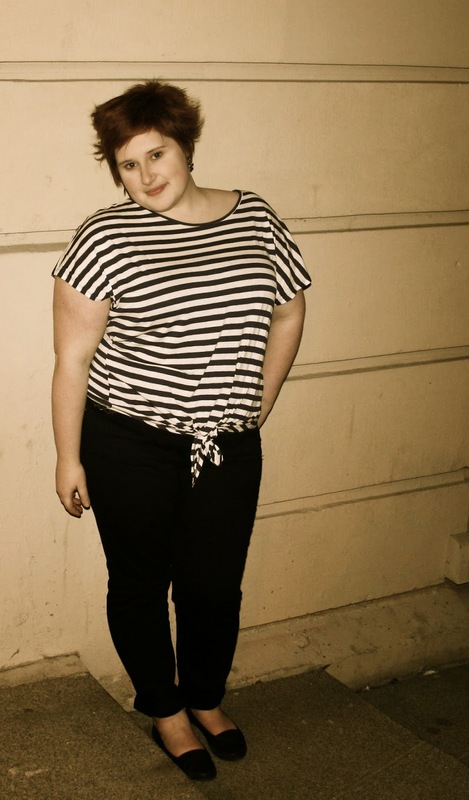 You are the size that you are so wear horizontal stripes and enjoy every single one of them! 4. Wear all black or muted colours and no exagerated prints. This rule has always baffled me since plus size retailers since the beginning of time have seemingly only produced what can be described as floral tents, completely disregarding this rule - thank goodness! Guess what - prints are great and colours too - they accentuate other lovely parts of your body like your eyes or gorgeous skin tone or hair colour - prints and colours don't reserve themselves purely for comments about your size. Prints and colours don't care because they know they are fabulous. 5. Big bodies shouldn't be seen at the beach or pool. Guess what, a great swim suit can change a person. Get a great suit or a fatkini and get out there. The sun and the water don't care what size you are, they just care that you are having a nice day out enjoying their fruits. Stand tall, feel good and know that your body is the same as anyone else's - beautiful! So there you have it - regardless of the time of the year or your size, you have the same right as anyone else to wear what you like and feel great in it. Don't let other people's insecurities be the deciding factor of how you dress - you are your own person. This post is one of many in this blogging challenge so please check out the other gorgeous babes participating below and hit up all social media with your pics and tips using #WeAreTheThey.